This College Council’s meeting agenda is dedicated to a strategic planning discussion facilitated by Keeling & Associates. The entire Pitzer community is encouraged to attend. 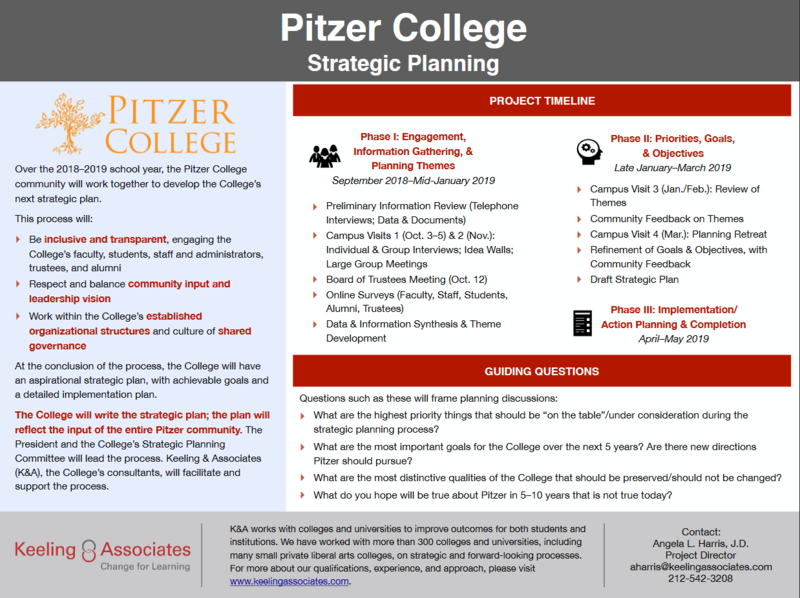 Visit Pitzer’s 2018-19 Strategic Plan web page for more information about the College’s strategic planning process.